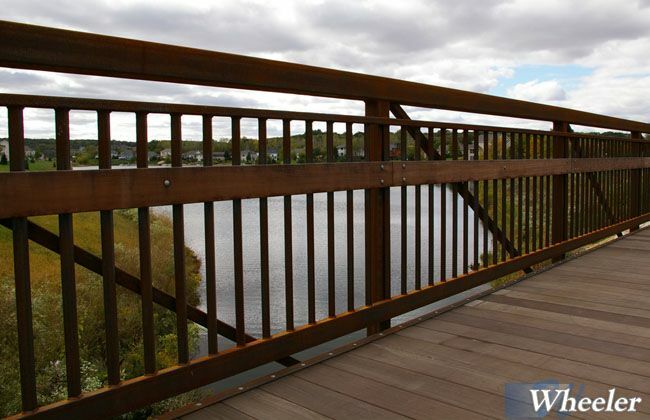 Railing combinations can vary by intended use and differing codes requirements. 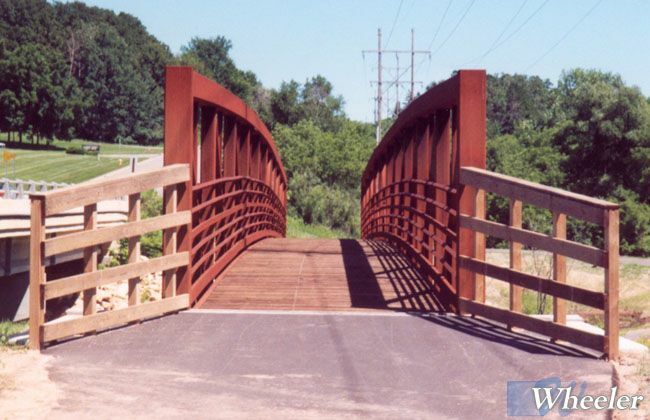 Most bridges incorporate a toe plate, safety rail and rubrail. 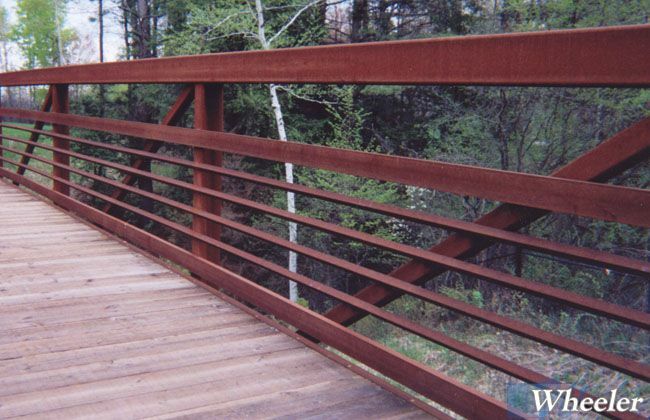 Orientation for the safety rail is typically vertical or horizontal. 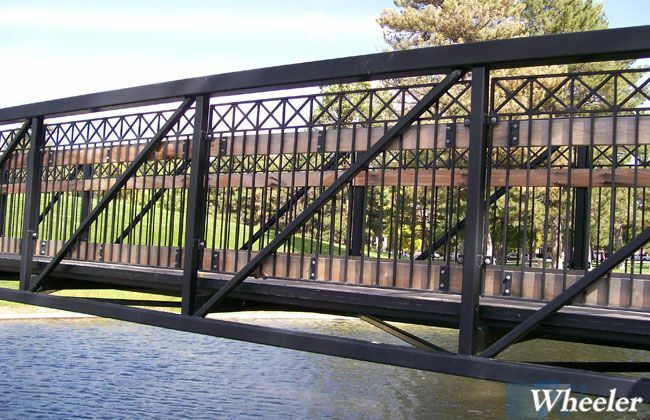 Custom designs are available at additional expense. 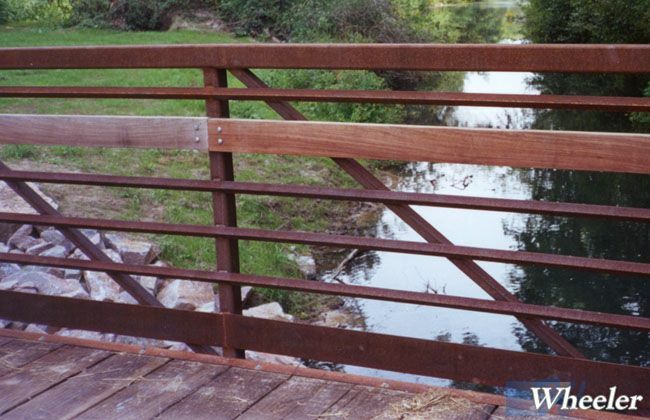 Safety rail spacing can vary by code, but AASHTO standards are typical. 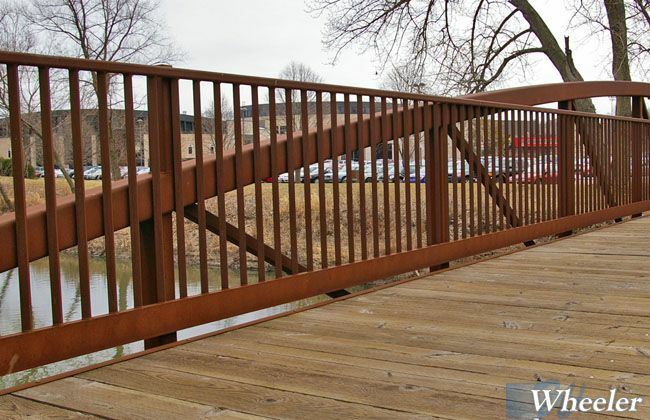 Handrails can be added if ADA requirements apply. 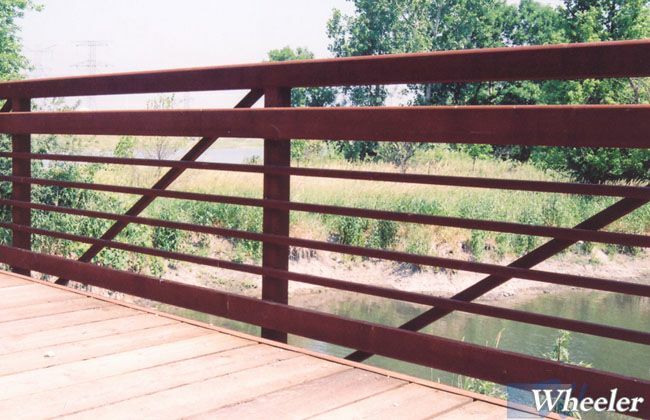 Wheeler recommends the truss end with a vertical to provide easy termination of the safety rail at the end of the bridge and transition to any approach rail. 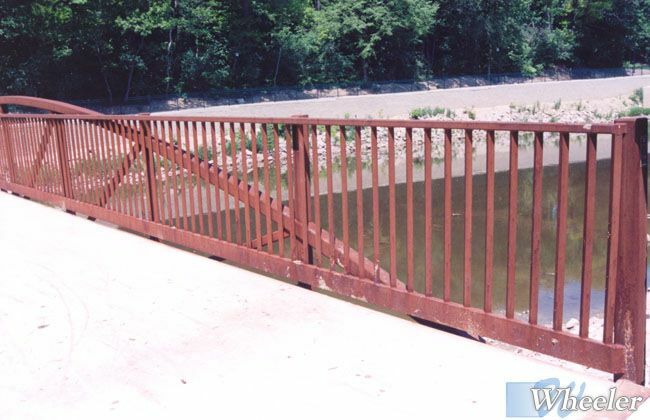 If slanted ends are preferred it is still recommended to extend the safety rail to the end of the bridge. 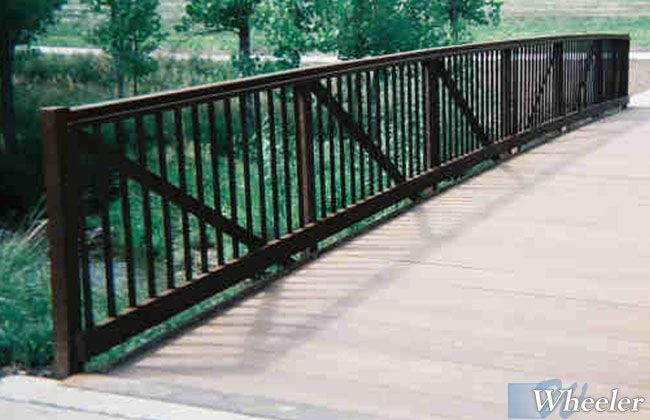 Approach railing guides users onto the bridge. 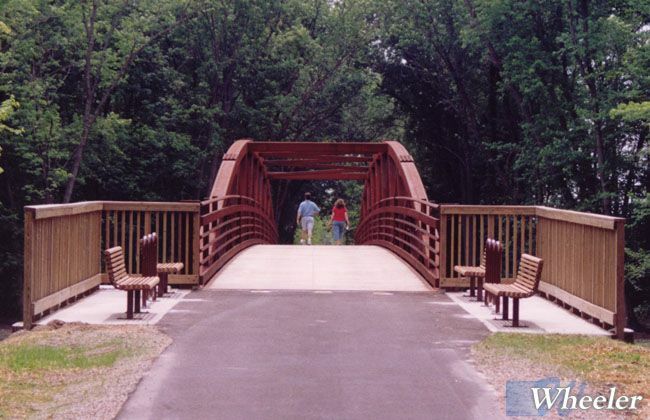 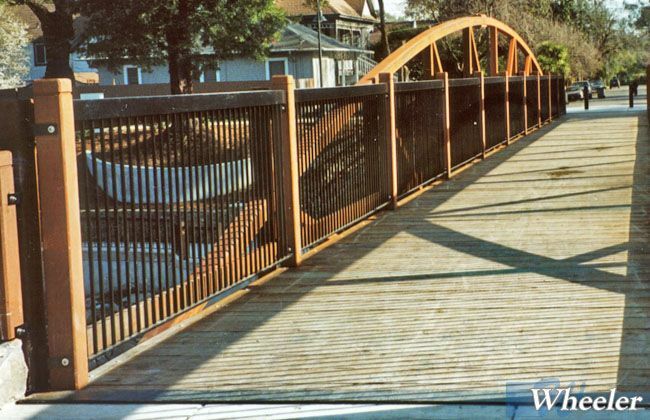 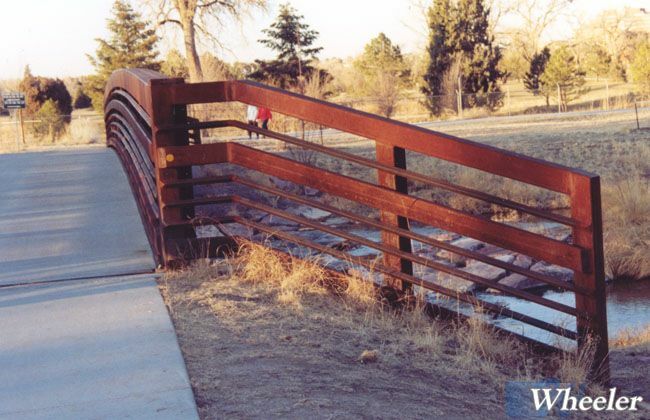 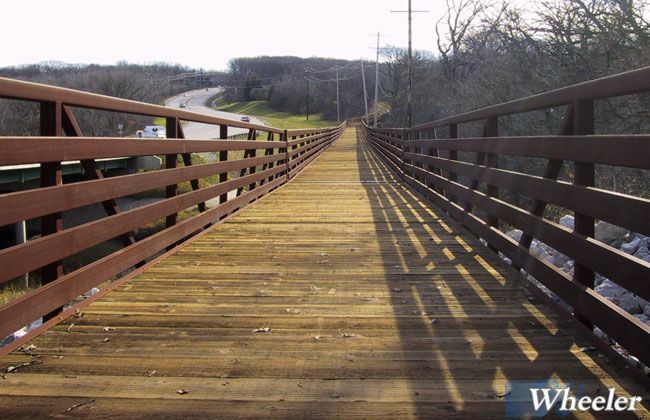 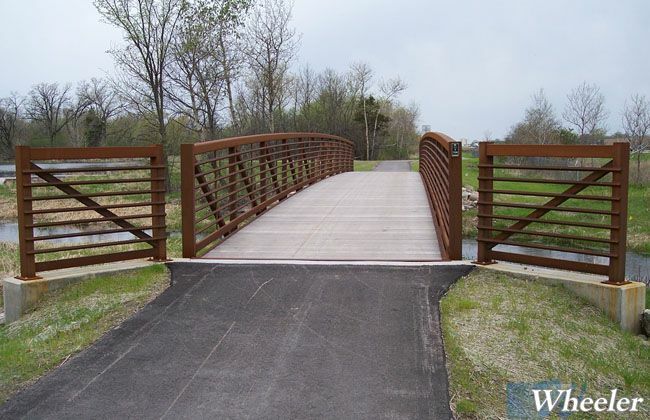 Custom sections can be built to match or compliment the bridge. 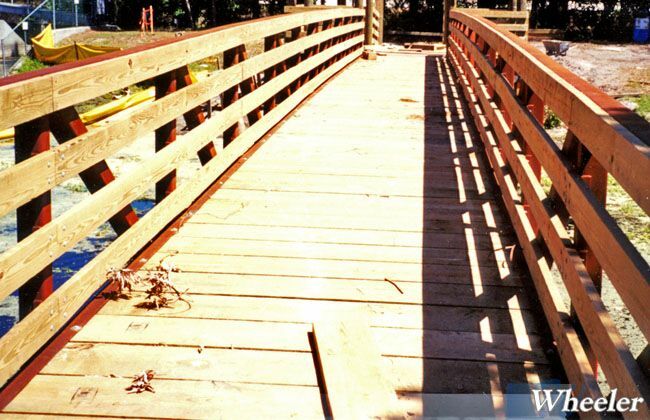 Less expensive options utilize treated wood. 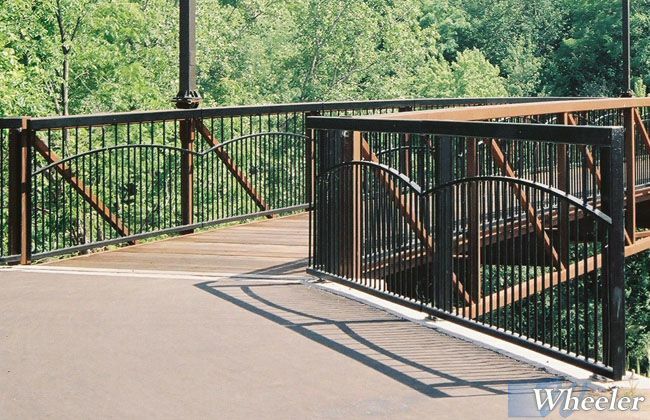 Regardless of the style, the use of approach railing is encouraged.